Time to sell your home in Rayne Plantation? Read about today's buyer. 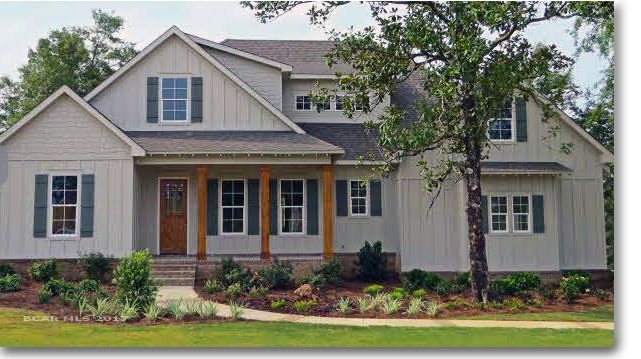 The exclusive community of Rayne Plantation is located off County Rd 31 in Spanish Fort, AL. This subdivision developed by local builder, Truland Homes, features custom-designed residences are built to the upmost standards complete with high-end finishes and appliances. These upscale homes average around 3,000-4,000 square feet in living area and are priced from 400Ks to upper 500Ks. Residents are treated to wonderful community amenities such as gorgeous clubhouse with outdoor entertainment area, fire pit, and grill perfect for evening cook-outs or birthday celebrations with friends and family. Just a few steps away is a stunning resort-style pool and children's playground area. Rayne Plantation is a short distance to Interstate 10 allowing quick commutes to larger cities, Mobile and Pensacola. A wide variety of shopping and dining establishments are minutes away as well as popular attractions such as The Eastern Shore Center and Timbercreek Golf Course. Find more Spanish Fort Homes for sale and nearby Daphne Homes using our interactive maps and pre-defined search features. Please let us know if you would like further information for Rayne Plantation, other Spanish Fort homes or real estate in the Baldwin County or if you would like to schedule a private viewing by emailing info@condoinvestment.com or by calling (251) Area-Pro (251-273-2776) for immediate assistance.